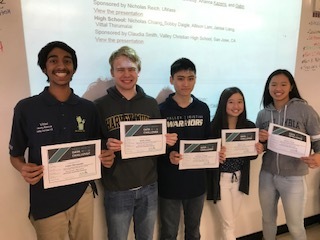 Congratulations to the Advanced Data Analysis students who earned the honor for Valley Christian High School as the “Best Overall High School in the Nation” – two years in a row – by the American Statistical Association. 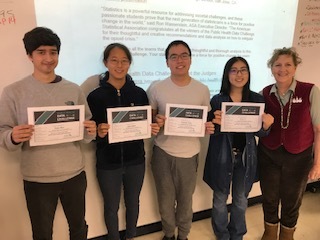 In the fall, the Advanced Data Analysis class, led by Mrs. Claudia Smith, competed in the Public Health Data Challenge amongst a field of 91 teams made up of 303 students. After analyzing the CDC’s Multiple Cause of Death (Detailed Mortality) data set, each team submitted their recommendations on how local officials should fight the national opioid epidemic. 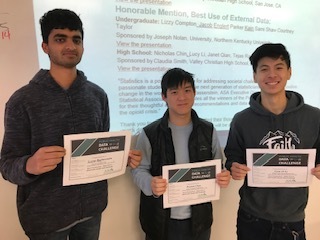 Students recommended creative and thoughtful solutions for local officials including increasing the availability of naloxone (an opioid overdose reversal drug), opioid agnostic therapy (OAT), increased access to clinics, lower restrictions on cannabis, and closer monitoring of people with opioid prescriptions. 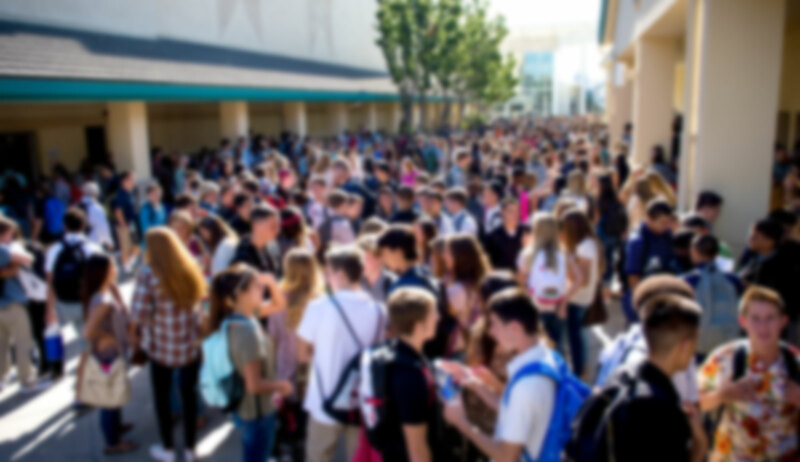 Drug overdose deaths are the leading cause of injury and death in the United States, and it’s up to statisticians and other experts to use their skills to make positive changes in their communities. 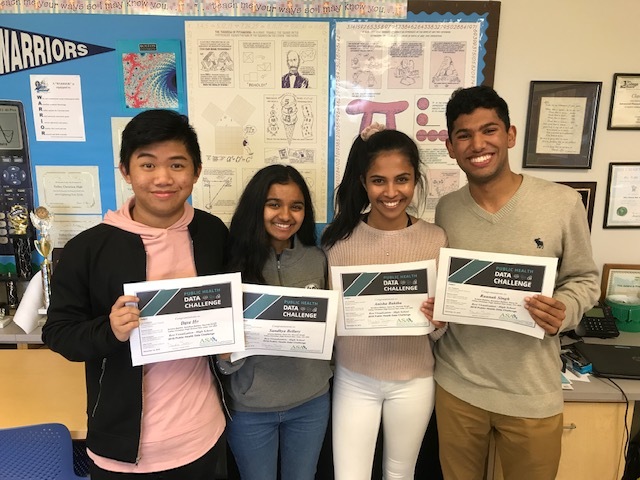 These incredible teams prove that the future of statistics is in capable hands as they used their data analytics and problem-solving skills to propose steps to mitigate the opioid crisis. Their statistical skills will be a force for positive change for years to come.